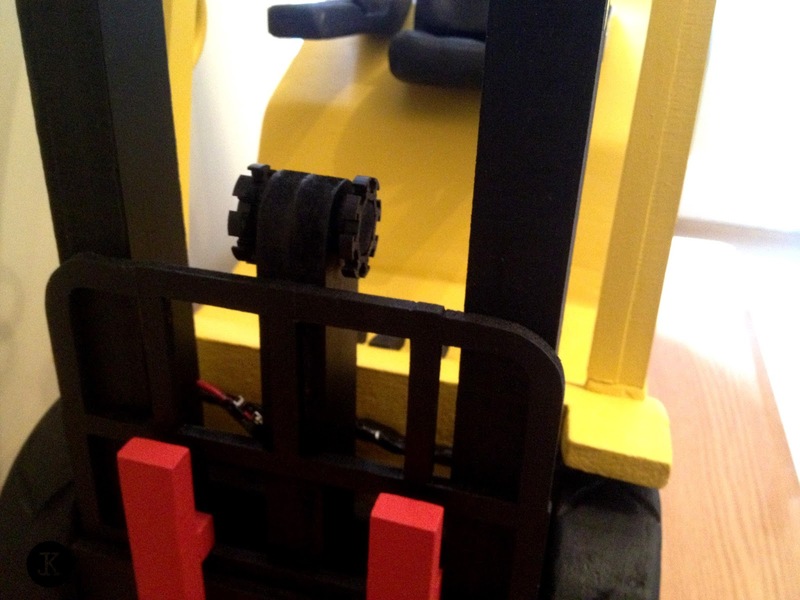 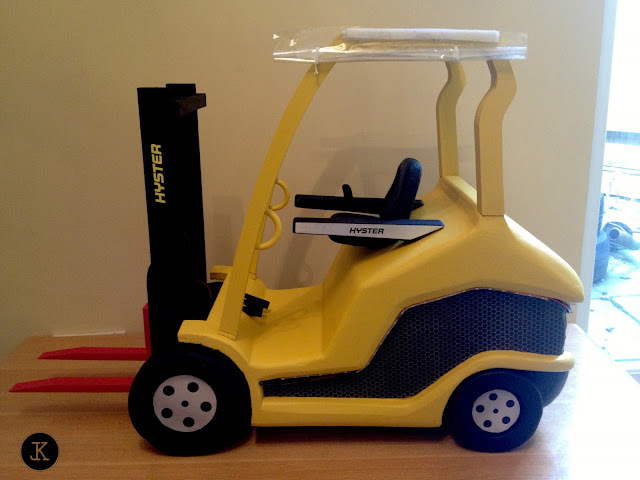 Here are the final photos from the forklift model. 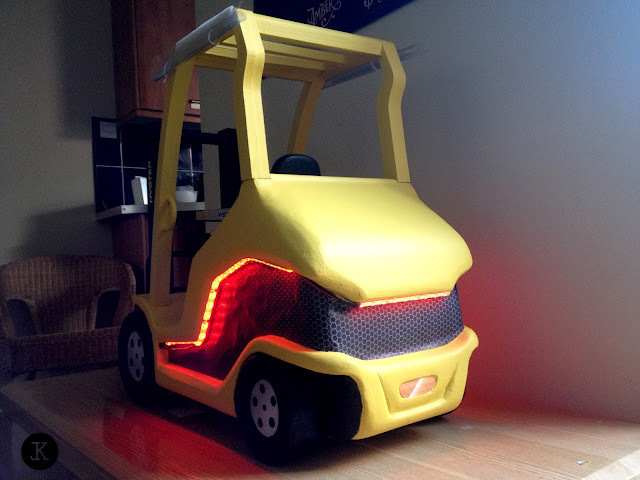 It took us over 3 days staying up until the early hours to complete it on time! The main features are the wrap around mesh pattern; creating the 'clamshell' aesthetic. 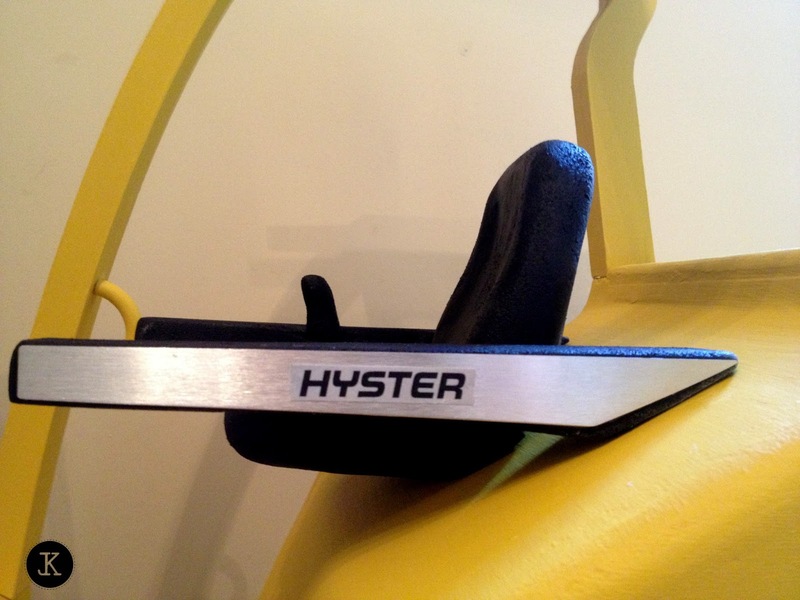 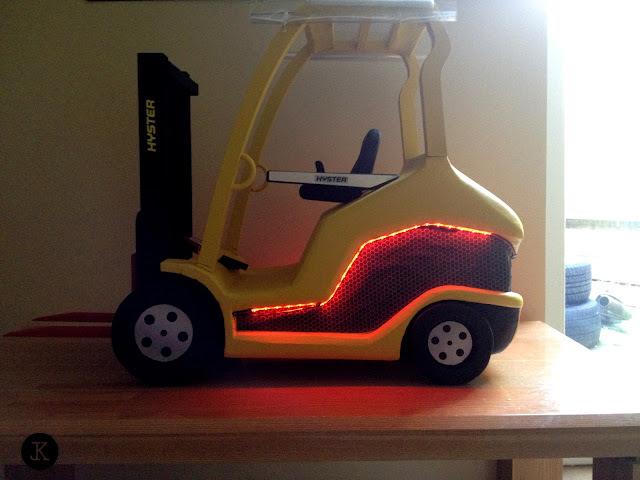 The red LED lights that give the forklift instant brand identity and warn others when it's in use, as well as interior features such as the armrests and unique joystick controls.